Business owners and leaders today have found that developing a strategy and using an implementation plan are far more effective than leaving the future to chance. Furthermore, developing a strategy, a vision, a mission, and a specific plan of action contributes to long-term, sustainable success. 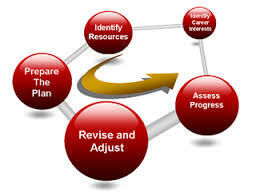 The Strategic Planning process provides a format for developing specific strategies, converting those strategies into a business planning process, and establishing measurable and attainable organizational goals. It is a process that involves not only determining where a company wants and needs to go, but also how it is going to get there. Does your organization need a new direction? Contact us to discuss how we can work together to develop or update your strategic business plan.